Andrew joined chambers in 2003. Andrew is a skilled and experienced advocate, who practices in a wide area of family law cases, including public and private law applications concerning children, and also Court of Protection and financial matters. 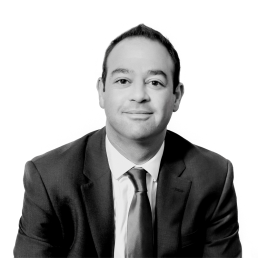 Andrew’s key strength is his dynamic and adaptable approach towards litigation and the court environment. Clients benefit from his straightforward manner and his frank, detailed advice, which is tailored to the individual’s needs. He has experience in conducting lengthy, serious and complex fact-finding hearings, final hearings and appeals, as well as interim hearings and interlocutory applications. Andrew is frequently instructed in a wide range of private children law cases, including child arrangement applications, international and internal relocation, and abduction proceedings, including applications under the Hague Convention. Andrew is qualified to accept instructions under the Direct Public Access Scheme, and regularly undertakes this work. He was educated at the University of the West of England, where he gained his Honours degree in law. During his degree, Andrew separately studied modules in computer science and, as one of his electives, he specialised in forensic science (which included biology, pharmacology and pathology). Andrew is Chambers’ resident computer expert and regularly applies his skill set within complex, forensic cases. Andrew completed the Bar Vocational Course and was called to the Bar in 2001. Andrew undertook his pupillage and first year of tenancy in a common law, mixed practice, consisting of civil (clinical and professional negligence), criminal (crown court trials) and family law. His mixed practice continued until 2005, when it narrowed to a focused specialisation in family law. Andrew’s experience in the civil and criminal arenas is of benefit to clients when such issues overlap with family law applications. Andrew’s broad experience makes him a formidable advocate who is popular with solicitors and clients in difficult cases. Andrew accepts instructions via Direct Public Access and is willing to act for clients both at hearings and on an advice only basis. For further details please contact the clerks. Andrew appeared in parallel proceedings in the Court of Protection and the Family Division of the High Court on behalf of the applicant local authority. The Court was concerned with a 17 year old whose behaviour presented significant challenges to the social work team and health organisations providing his full-time care. His care required his constant supervision and occasional restraint (supervision and restraint that amounted to a deprivation of his liberty). At the conclusion of proceedings the local authority successfully presented a long-term therapeutic care plan and deprivation of liberty safeguards which the Court approved. The case is a good example of the Courts’ approach (both legally and practically) in cases which involve older teenagers and the overlap between the Court of Protection and the inherent jurisdiction of the High Court. The Court was assisted in this case by the appointment of a children’s guardian which is a more unusual aspect of parallel proceedings. The Court considered the issue as to whether the court on an application for a care order in respect of a young person aged 17 with lifelong disabilities should transfer the case to the Court of Protection to be dealt with under the Mental Capacity Act 2005 rather than the Children Act 1989. Case concerning Forced Marriage Protection and Enforcement. The Bedfordshire Police sought to commit the Mother and Paternal Aunt to prison for the alleged breach of the FMPO. The Judge could not add in the police as a category of applicants in this situation because it would involve the police becoming “prosecutor” in all but name in civil proceedings The facts and circumstances of this case reveal / illustrate a grave weakness in the existing forced marriage protection order machinery as enacted in Part 4A of the Family Law Act 1996. Mr Justice Holman wanted to encourage the relevant Departments of State to give urgent consideration to improving the effectiveness of forced marriage protection orders and the means of enforcement. I am registered with the Information Commissioner’s Office (ICO) as a Data Controller for the personal data that I hold and process as a barrister. My registered address is New Court Chambers, Temple, London EC4Y 9BE and my registration number is Z9783948. You may request access to, correction of, or a copy of your information by contacting me at ashaw@newcourtchambers.com.